This business centre offers spacious serviced office accommodation in Leeds in a modern and friendly environment. Also available, virtual office facilities including meeting room. 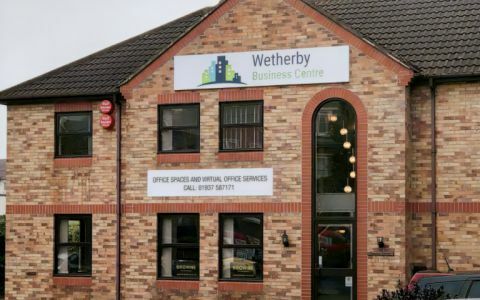 Situated just minutes off the A1, a short distance from Leeds, and 2 minutes walk from the local amenities of Wetherby, this is the perfect base for any company. The Leeds serviced offices are fully serviced and suitable for small to medium sized businesses. The building comprises of a two-storey purpose built office building with on-site car parking, good internal security and a communal reception area. All mains services are available including a welcoming reception area, central heating, carpets, window blinds, fully fitted kitchen with cooker and microwave, and smart toilets / washrooms. The Leeds serviced office is situated just minutes off the A1, a short distance from the City Centre and 2 minutes walk from the local amenities of Wetherby, this is the perfect base for any company.